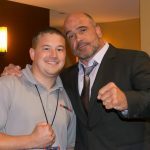 Unlike recent UFC events where early weigh-ins are followed by ceremonial weigh-ins, or there are no ceremonial weigh-ins following the early weigh-ins, today the UFC will take a different approach. 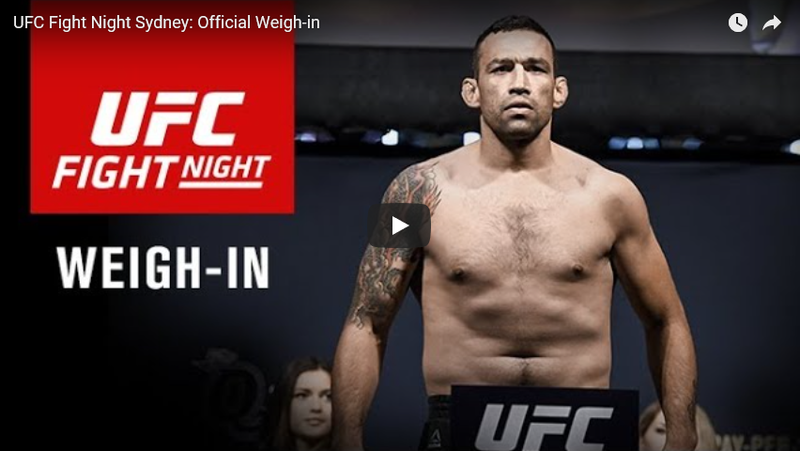 There will only be ceremonial/official weigh-ins for UFC Fight Night 121 and it will take place at 7 p.m. EST at the Qudos Bank Arena in Sydney, Australia. UFC Fight Night 121 takes place Sunday (but airs live on Saturday in North America due to the time difference) at Qudos Bank Arena in Sydney, and it airs on FS1 following early prelims on UFC Fight Pass. – Rose-Clark gives up 20 percent of her purse for missing weight. – Benoit gives up 20 percent of his purse for missing weight. ^ – Camacho gives up 30 percent of his purse for missing weight. – Kassem gives up 30 percent of her purse for missing weight.